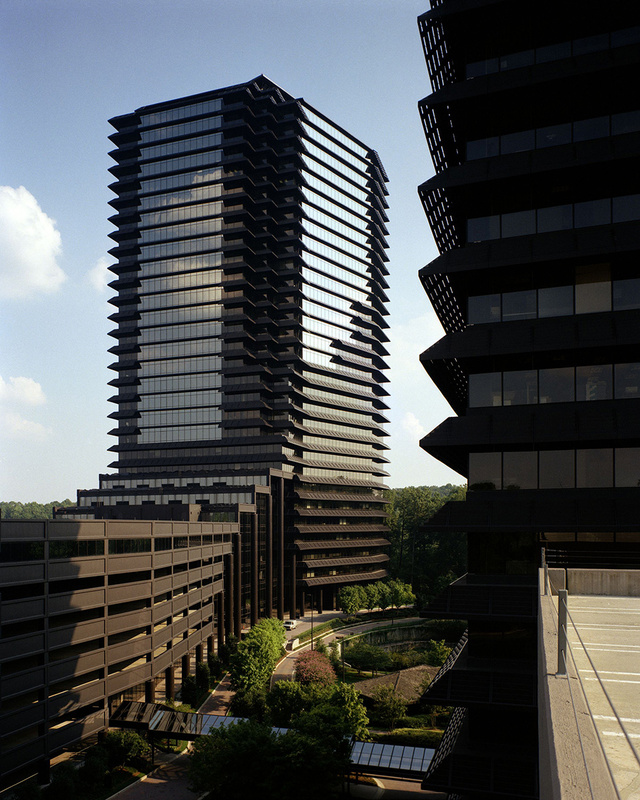 Three Ravinia is the third and largest office building in the Ravinia development in the pine forest of DeKalb County in north Atlanta. 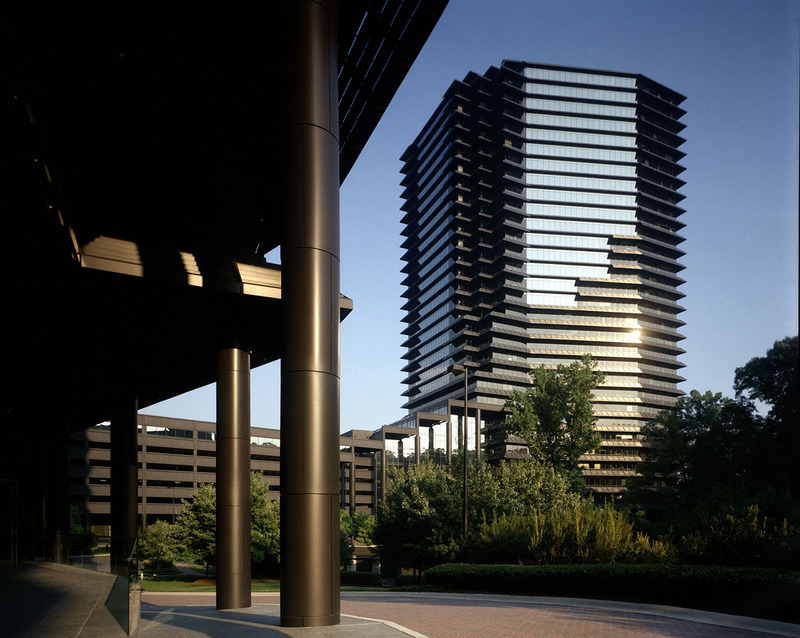 The tower sits in a wooded 42-acre planned office and hotel site. Louvered aluminum sunshades provide a strong architectural statement and reduce solar heat gain, while allowing an unobstructed view of the trees below. 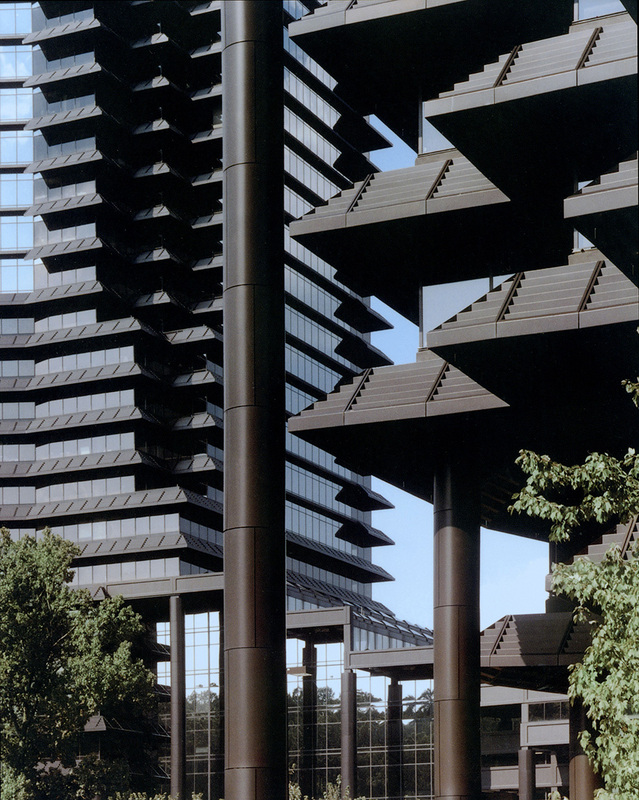 The shape, placement and color of the buildings respond to the natural contours and beauty of the site.